WordPress was recently kind enough to send me a “Your Year in Blogging” FurtherMo Annual Report. It was a sweet gesture, a celebration of my most popular blogs, of my top responders, and information about where in the world FurtherMo’s readers are from. This was fascinating. But as I opened my WordPress dashboard, I couldn’t help but reflecting on all the posts that (their moments fleeting) were never to see the light of day. 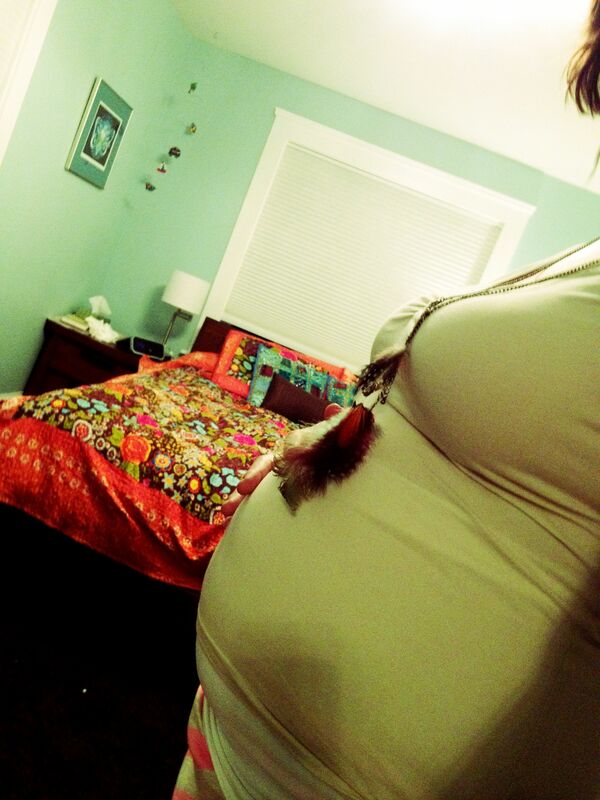 2012, the year I got pregnant (February), started an MFA in Creative Nonfiction (June) adopted a German Shepard (August), and gave birth to a tiny baby boy (October) was a year inspired by the passionate embrace of creativity and written retrospection. And although it wasn’t great for blogging, it was great for drafting. And just in case you were wondering about those interrupted beginnings and castaway drafts, here were some of 2012’s unpublished ideas. Life today. School buses and waving good-bye. Kissing my husband on his way out the door. My peace, my quiet. And i turn to my work. Lesson plans. Writing. Short stories, poems. words, words, words. long winding words that take me nowhere and everywhere. A clean house. Mail that gets sorted and dishwashers that get emptied. Rhythm. Clarity. Focus. In January, we opened a file with the province of PEI to adopt a sibling group. As we awaited news, I became pregnant. This post was drafted during the ridiculous time when I envisioned life with Leila, Baby, and possibly two more children. This post is about the edge of change, when life’s hues change from orange to red. Usually when this happens, we realize finally that hey – we really liked orange. Welcome to the human condition: just when you have the chance to catch your breath, the merry-go-round picks up speed. Our file is currently on hold with the province until Baby Ari is one year old. We will reapply when Baby Ari is one year old. There you are, on a car trip, at the restaurant, or in the doctors office, and the little one goes for your purse. At first you hesitate – not here, not now – but then your inner teenager takes over and you surrender: fine, take my phone. And those little hands dig through your stuff, your private lady purse stuff that you thought you might never share with any one. kids and technology. What’s good, what’s bad? 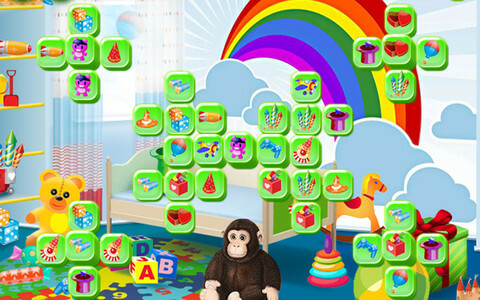 Here’s an aged 5-7 Mo-reviewed list of apps that we’ve had a lot of success with. This summer, Leila got into the Glow Puzzles in a big way, a game of logic that she can figure out at lightning speed. She also likes Math Bingo, which asks her to add and subtract until she earns stickers. Mitch and I really like the Montessori Apps too, which TheHomeTeacher blog outlines quite well. This month’s loves: HangMan, Booksy, and who are we kidding – Monster High Sweet 1600. I’m sitting in the hockey rink watching Leila learn to skate backwards – and she’s good. My book review is due tomorrow, and I’m having a hard time getting into this one. 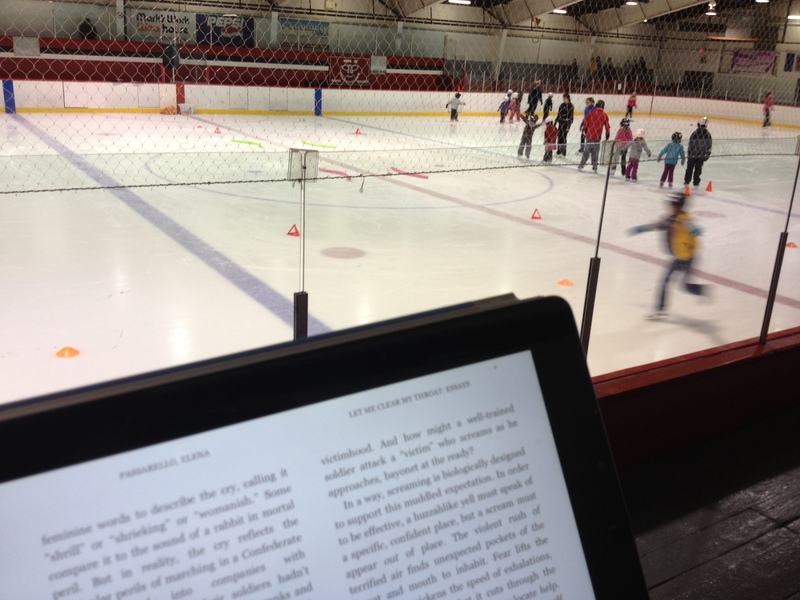 I brought the iPad to the rink in hopes I can breeze through a few chapters unnoticed. But it’s no use. It’s cold, I’m distracted, and my thoughts are racing. I sip the coffee I poured an hour ago and wonder when the last time I had a full cup was. These days I’m scattered. I wonder how I can try to do so many things at once, and how that must seriously compromise the productivity of each of the things I’m doing – watching Leila skate, reading a book of essays, and breathing into my thirty-ninth week of pregnancy. Every thought I have is interrupted by, “I should wash those sleepers,” or “I should get some diapers,” and then the final voice of reason comes. “I should meet my submissions deadline for my MASTERS”. She’s a great backwards skater. I’m an over-doer, there’s no question. I exhaust myself trying to fit things in, plan for every parenting scenario, meet the needs of everyone and my own high expectations of what i can achieve in a 24 hour period. Pickups, drop-offs, modern life in general. I used to fantasize about going to a long Tibetan Buddhist retreat where no one speaks and participants stare off into the mountains and the clouds and become one with the universe. That seems a far cry from my life today, sticky jam on the counter top and my car destroyed by apple juice and the kicks of salty boots, the house a senseless clutter of random, and a daily load of forgotten laundry. The chaos of a house of two adults, one child, one baby, two cats, one dog, and an open-door policy. But since the birth of Ari, there’s been nothing more satisfying than a quiet baby snuggle, an in-the-moment family dance party, or a long and lingering hug with my husband as he eats his morning toast over my shoulder. This is what life is about: not gearing up, as I once suspected, but gearing down, to those peaceful moments of serenity and calm where everything … just …. is. Maybe I never needed that Buddhist retreat after all. Thank you, 2012. And here’s to many more unfinished symphonies. I love your way with words. You ALWAYS make me stop and pause and I come out the other side feeling refreshed! Miss you, friend. Thanks for being a loyal reader, Rebecca. Miss you too. Mo – you have such a gift. I can so relate to your multi-tasking post – bet many Moms would! But just reading your blog makes me feel calmer and okay with the sticky jam on my countertop so thank-you my friend. Oh how I love you MoDuffyCobb!